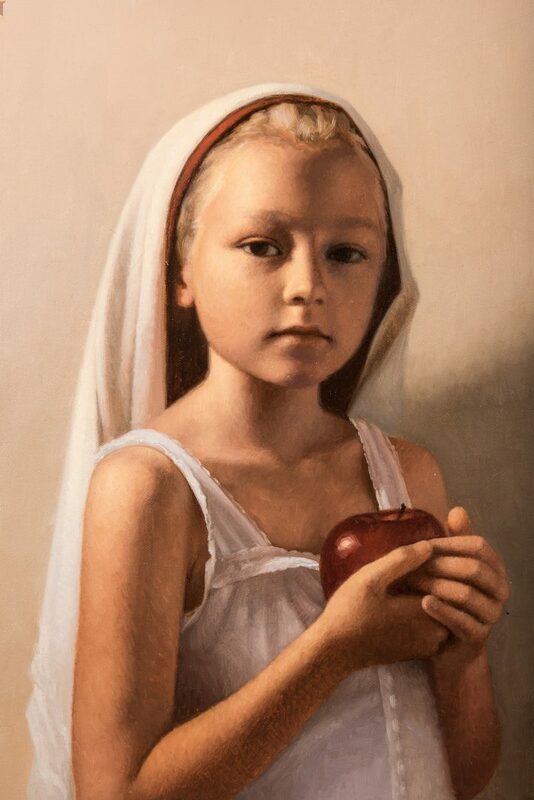 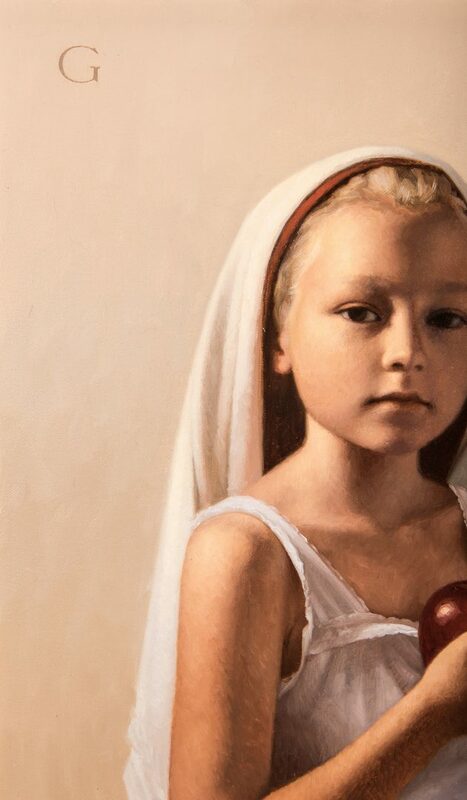 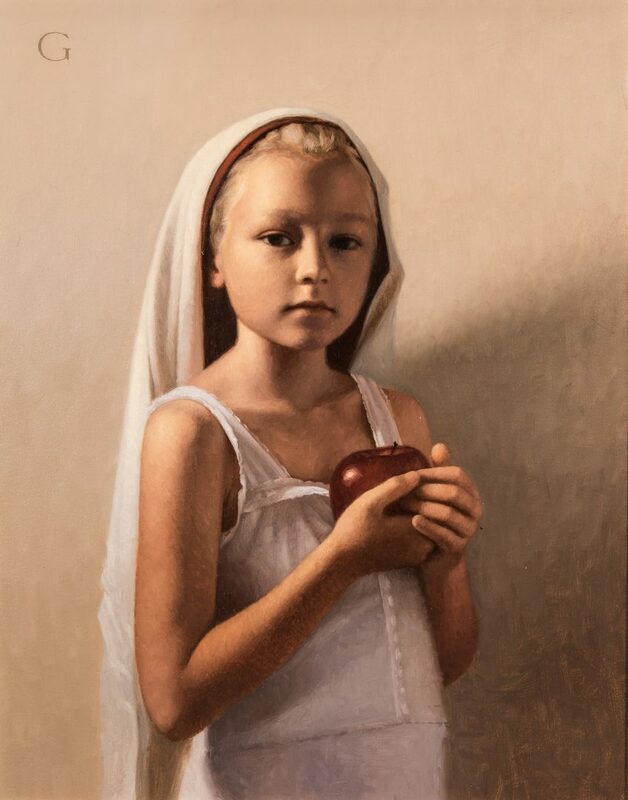 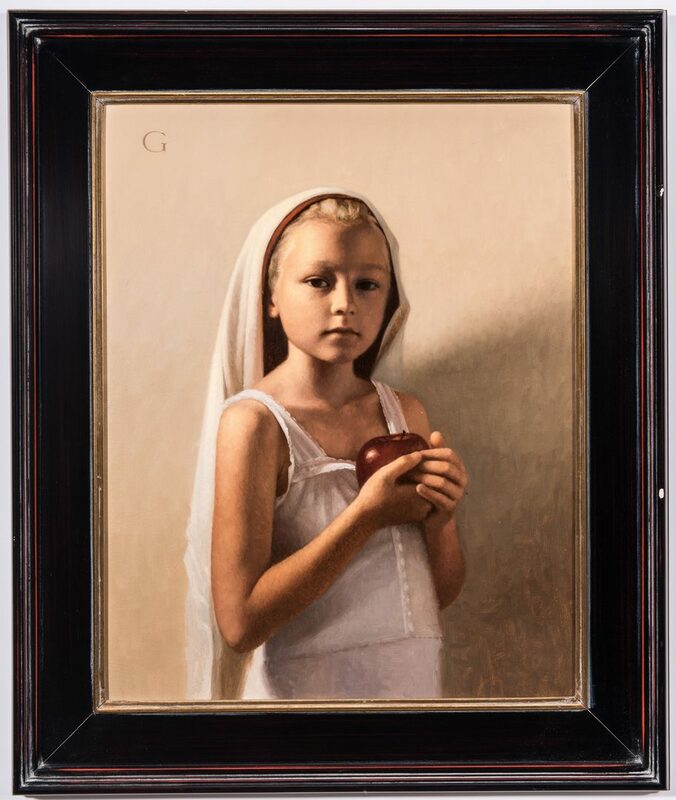 Lot 771: David Gray "Apple"
You are here: Home >> July 14, 2018 Historic Summer Fine Art and Antiques Auction >> Lot 771: David Gray "Apple"
David Gray (American, 20th/21st Century) oil on canvas painting titled "Apple" depicting a young girl in a white dress and veil and holding an apple. 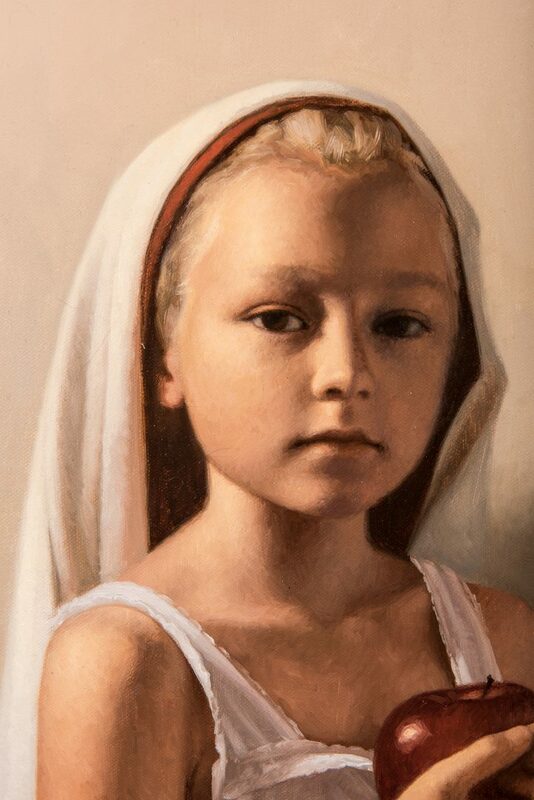 Signed with "G" monogram, top left corner. 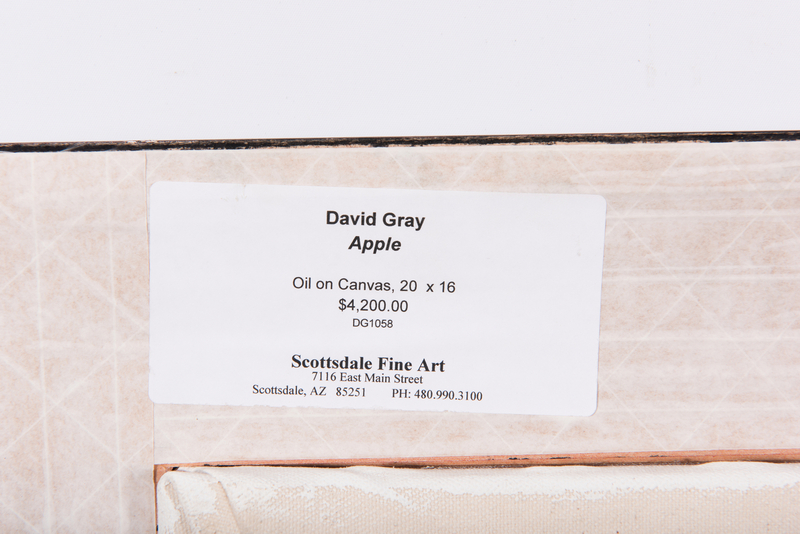 Scottsdale Fine Art, Scottsdale, AZ gallery label with artist name, title, and additional information, en verso. 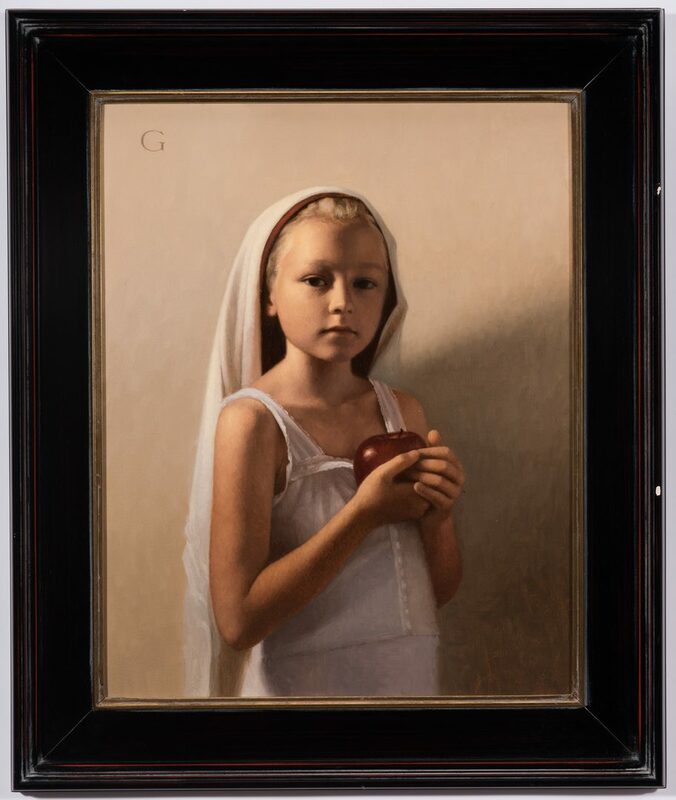 Housed in a black wooden frame with gilt wood rabbet edge. 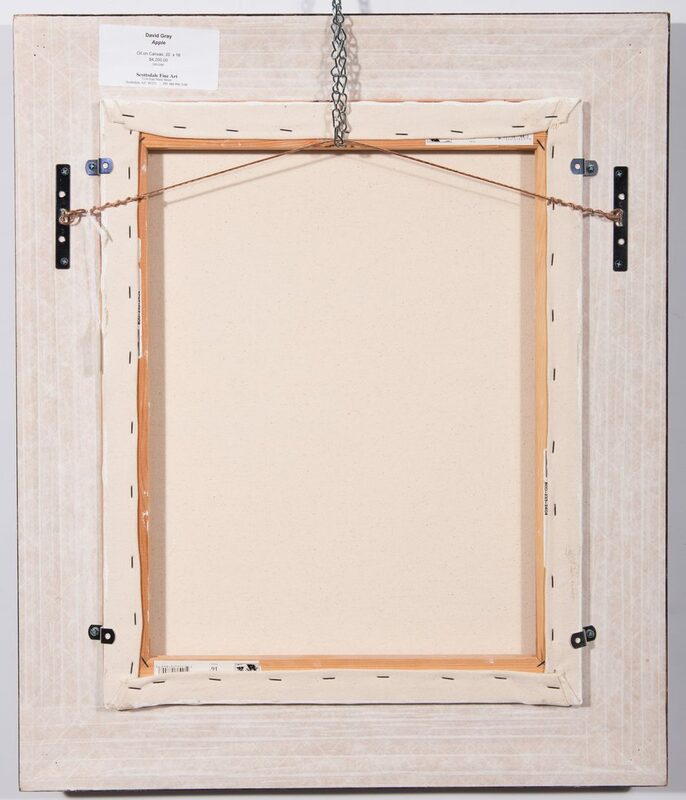 Sight – 19 5/8" H x 15 1/2" W. Framed – 26" H x 22" W. CONDITION: Overall excellent condition. 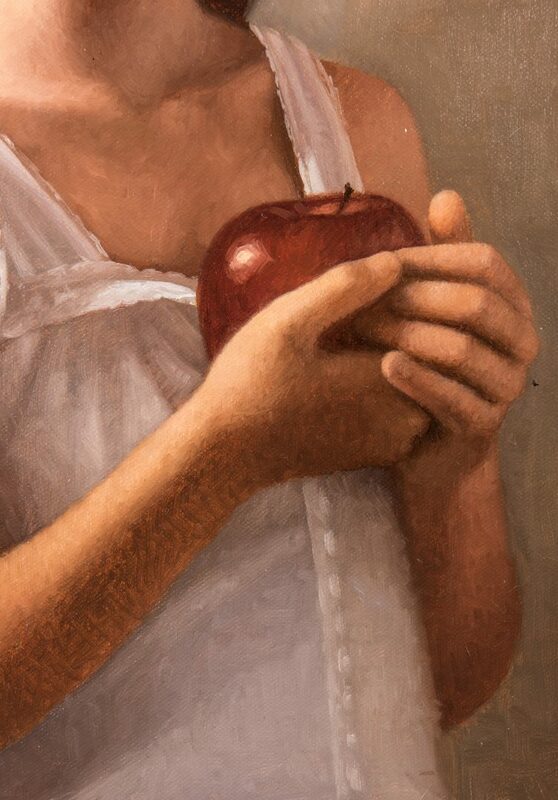 Two areas of loss, largest 1/4", right edge of frame.